Although demand for its services continue to rise, the Boynton Mental Health clinic has been able to keep the number of students on its waitlist at zero. Consistent staff increases and the introduction of “brief consultation” meetings over two years ago have eliminated the clinic’s waitlist, which applies to students who would have to wait more than two weeks for service, since fall 2016. 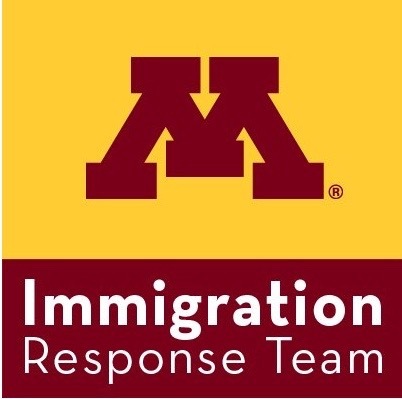 Read the full MN Daily story here. 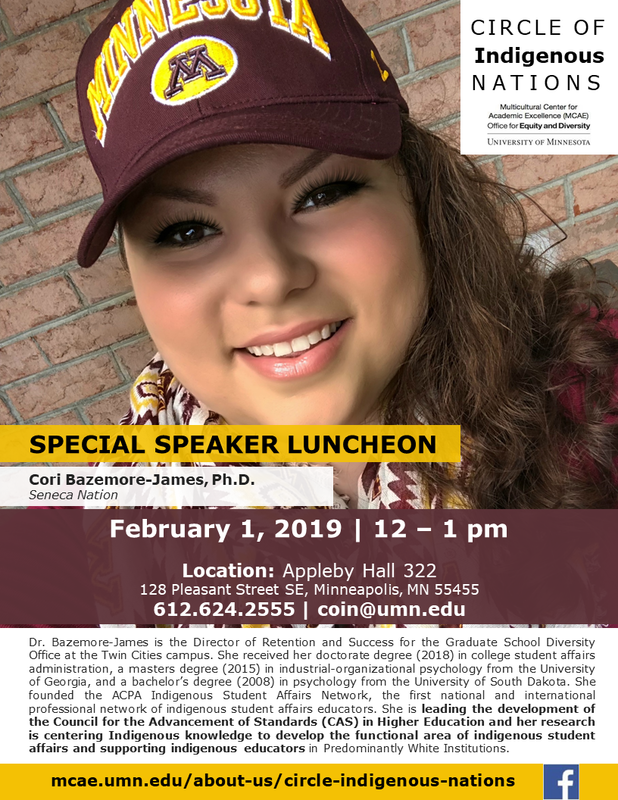 Dr. Bazemore-James is the Director of Retention and Success for the Graduate School Diversity Office on the Twin Cities campus. She is leading the development of the Council for the Advancement of Standards (CAS) in Higher Education and her research is centering Indigenous knowledge to develop the functional area of indigenous student affairs and supporting indigenous educators in predominantly white institutions. 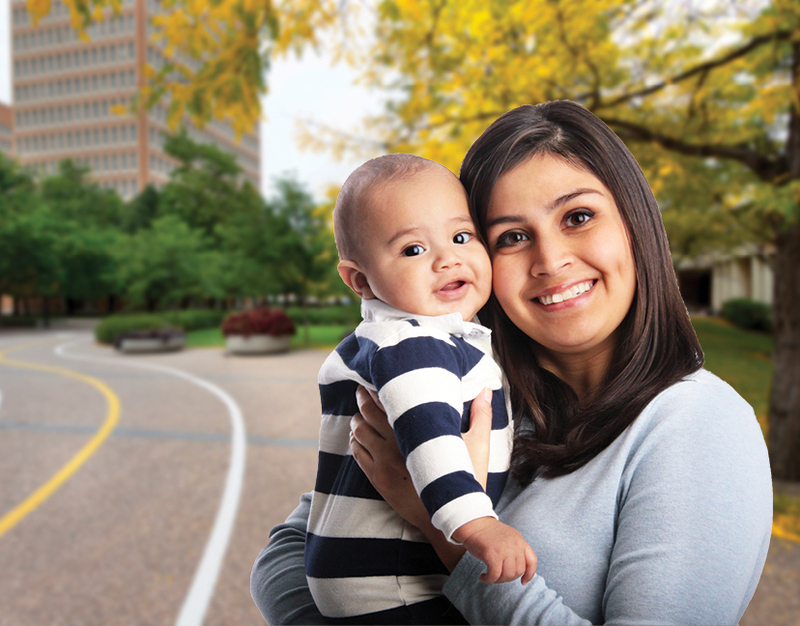 The Lactation Advocacy Committee (LAC) is a group of volunteer students, staff, and faculty who have been working to expand lactation spaces and support breastfeeding parents since 2009. 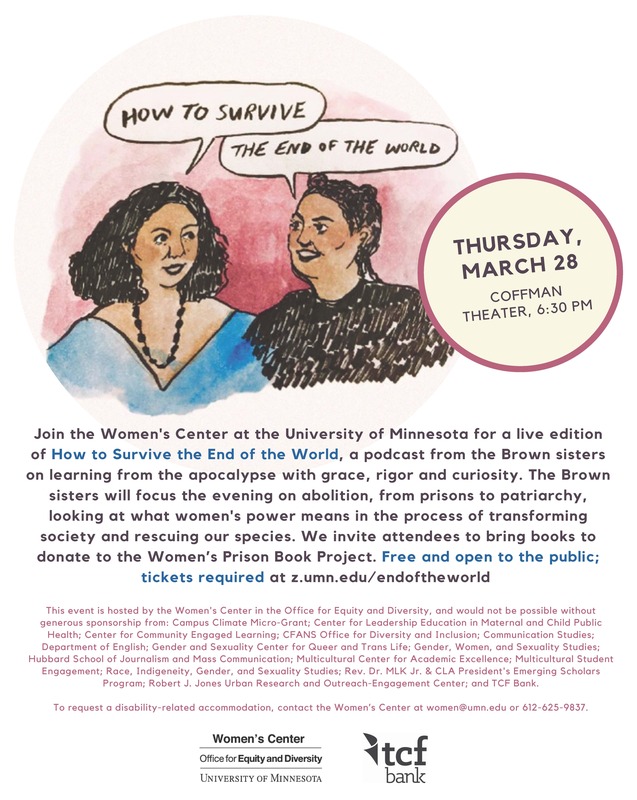 Thursday, March 28, 2019 at 6:30- 8 p.m, Coffman Theater, Coffman Memorial Union.